Alyssum plants and species are a large group of annual or perennial herbaceous plants. 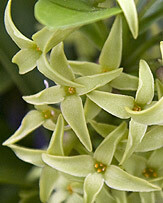 They handle heat and dryness, and will thrive in a sunny position in the border with little care. The common name 'Sweet Alyssum' refers to the fragrance of the flowers of Alyssum maritimum (syn Lobularia maritimum). And you can have flowers colors randing from white through to pink and purple. 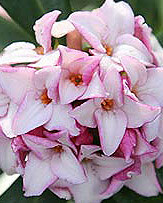 Although they do not survive frosts, grown as annual in the Uk they make a great addition to the garden. 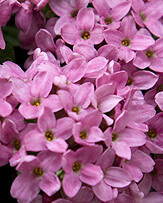 Excellent in the rock garden, a hanging basket or for under planting taller shrubs and roses. Also worth trying as a plant to be left to cascade over a low garden wall. 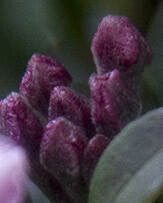 These are naturally an evergreen, in the UK semi deciduous to not hardy. Reaching a height of around .3m (12 inches). Alyssum saxatile is one of the more commonly grown species, lovely golden yellow flowers in spring through summer. Alyssum spinosum 'Roseum' with lovely pink flowers. Originally from Turkey and Crete these are a drought tolerant plant that grow well in a humus rich well drained soil, full sun in the UK. Easily stared from seed ina cold frame in late winter and then planted out. 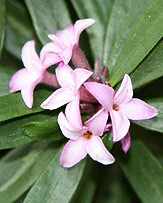 Or buy them as plugs for mass planting in spring as soon as the frosts are over. From seed they will take around 3 weeks to germinate, and a further 3 - 4 weeks to get to a size where they are ready to transplant.